Do you know a Tiger Mother? What's your parenting style? 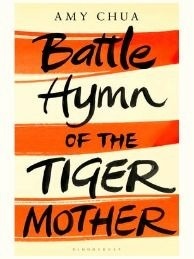 Are you the Tiger mom, for whom no achievement by your child short of the best is good enough? A helicopter parent whose nurturing extends well into the college years? Amy Chua's book, Battle Hymn of the Tiger Mother, has gotten a lot of attention because of her admitted willingness to push her children to the brink of frustration and humiliation to get them to excel. But there are many other valid and not-so-great parenting styles. What's yours? KPCC wants to hear from parents of all parenting styles to help inform our news and education coverage.